PSA is building the C5 Aircross in France as well as China. PARIS -- PSA Group is increasing and reallocating its European production capacity to meet higher demand for SUV models and to increase plant utilization rates. PSA has recently introduced 11 new SUV and crossover models, including the Peugeot 3008 and 5008, the Opel Crossland X and Grandland X, and the Citroen C3 Aircross and C5 Aircross. European production of the C5 Aircross is now starting in Rennes, western France, ahead of the compact model's European launch later this year. The C5 Aircross has been built in Chengdu, China, for the Asian market, since last year. Once C5 Aircross production reaches full capacity in March 2019, some production of the Peugeot 5008 will be moved from Rennes to PSA’s factory in Sochaux in eastern France, where the Peugeot 3008 and Opel Grandland X are built. 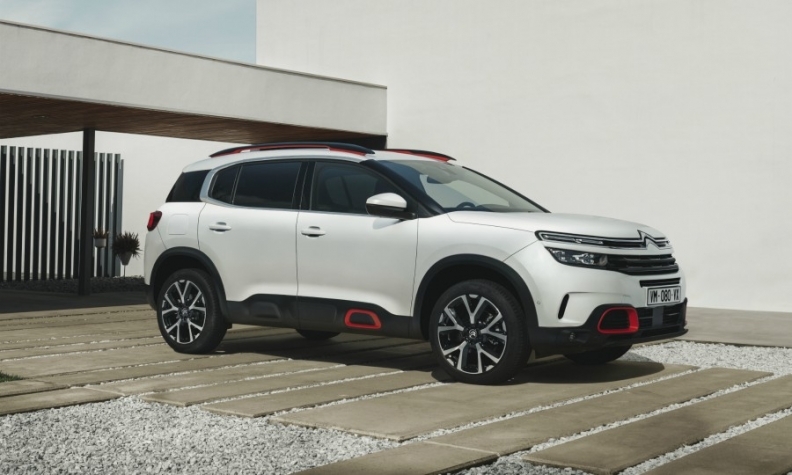 The Rennes factory had been under threat of closure during PSA’s financial crisis in 2012-3, but its future seems more certain with the allocation of the 5008 and C5 Aircross, which are both built on PSA’s EMP2 platform. When Sochaux reaches capacity, Grandland production including an upcoming plug-in hybrid version will transition to Eisenach, Germany, in mid-2019, eventually reaching two shifts. PSA reached an agreement on Monday on wages and future investments at Eisenach and other German sites with the IG Metall union. In a news release, PSA said it was also conforming to an agreement with French unions in 2016 to maintain production levels in France at a minimum 1 million vehicles annually. An analysis by LMC Automotive when PSA’s purchase of Opel from General Motors was announced in 2017 found that the Eisenach factory was at 65 percent capacity. In addition to the Grandland, Eisenach is scheduled to add Mokka X production in 2019. PSA CEO Carlos Tavares is counting on high-margin SUVs and crossovers to help drive growth and profits. The 3008 has become Peugeot’s second-best-selling model after its repositioning as an SUV from a minivan when the new generation was introduced in 2016. 5008 sales have surged with a similar redesign in early 2017. Citroen is hoping for the same boost from the C5 Aircross, its second SUV for the European market after the C3 Aircross last year. The C3 Aircross is now Citroen’s second-best seller. PSA says about 250,000 of the company's SUV models, across five brands, were registered in Europe in the first quarter, representing 17 percent of the total market.